The Icon laser is utilized to provide non-ablative skin resurfacing with high efficacy and no downtime. The laser handpiece delivers light in an array of high precision microbeams. These microbeams create narrow, deep columns of tissue coagulation that penetrate well below the epidermis and into the dermis, while sparing the tissue surrounding the columns from damage. The treatments are scheduled in a series of five separate visits, approximately 21 days apart. In between the treatment sessions, collagen formation will occur resulting in tighter, more youthful skin. Your final results will be seen approximately six months after your final treatment. Factionated Laser helps treat wrinkles, superficial scarring caused by acne or other sources, and pigmentation. This option has little to no downtime and our technician will be able to assess your concerns and recommend a certain number of treatments that will help you achieve your goal. Thermi: The Thermi family has 3 different routes for skin rejuvenation. • ThermiTight is a minimally invasive procedure where a probe is inserted under the skin to gently heat specific tissues resulting in a tightening of the skin. Patients can resume normal activity the next day. • ThermiSmooth in a non-invasive procedure that stimulates collagen using a radio frequency technique that can be performed around the eyes, mouth, cheeks, and neck. There is no downtime to this and usually a series of 3-6 treatments are recommended. • ThermiVa is here to help you take back control of your life through feminine rejuvenation. 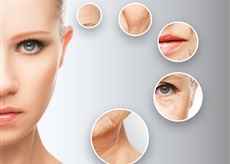 As you age your body goes through changes that might affect multiple parts of your life. ThermiVa uses radiofrequency to rejuvenate collagen without any discomfort or downtime. This service gives women multiple benefits in their everyday and sexual lives. If you’re considering a skin rejuvenation, please call us (304) 255-0330 to schedule a complimentary consultation or contact Mountain State ENT & Aesthetics using the convenient online information form. We look forward to hearing from you and discussing your options.